Definition at line 27 of file LanaiTargetMachine.h. Definition at line 55 of file LanaiTargetMachine.cpp. Definition at line 94 of file LanaiTargetMachine.cpp. References llvm::createLanaiDelaySlotFillerPass(), llvm::createLanaiISelDag(), and llvm::createLanaiMemAluCombinerPass(). Definition at line 49 of file LanaiTargetMachine.h. 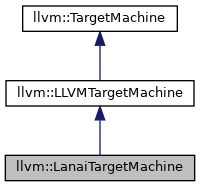 Definition at line 40 of file LanaiTargetMachine.h. 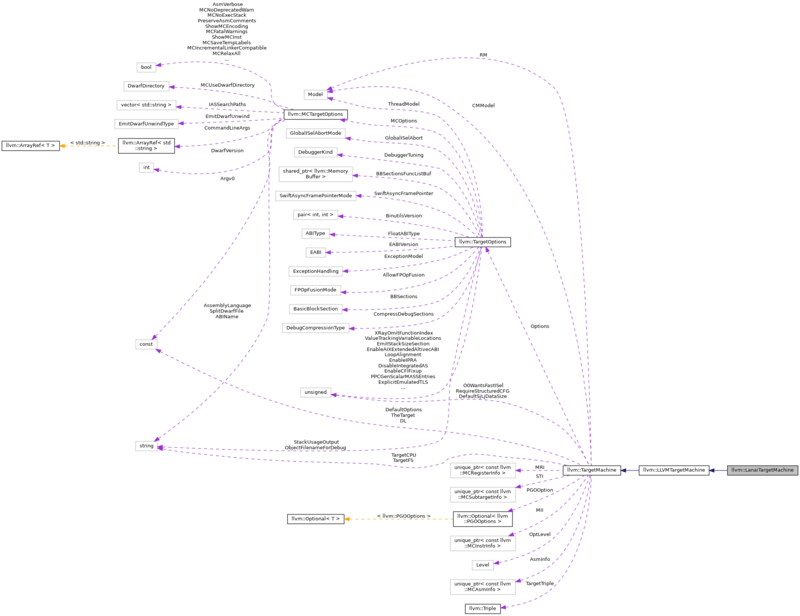 Definition at line 72 of file LanaiTargetMachine.cpp. Definition at line 53 of file LanaiTargetMachine.h.